Clients, Friends, and neighbors gathered at the Plaza de los Delfines, located at the entrance of Ojochal, Costa Ballena, Costa Rica, in order to celebrate the sixth anniversary of Pancito Cafe. The weather was calm and there was no rain. So, the community was able to enjoy the outdoor terrace, the music of the Blue Note del Sur Duo, and Philippe Chapuy. We also enjoyed the typical Spanish sangria, and delicious “pasapalos” (snacks). Blue Note warmed the hearts of those in attendance, and Philippe Chapuy unveiled his original style of House / Electro Pop / Reggae music, transmitting constant rhythm and energy, encouraging participants to come to the dance floor, which remained crazy until 2am! Simon, son of the owners. Philippe and Mireille, was responsible for organizing the event, and oversaw the launch of fireworks and delivered colored Jell-O shots. 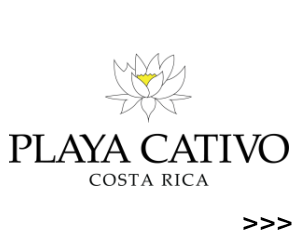 Posted in Activities, Events, Ojochal, Ojochal Restaurants and tagged Costa Ballena Lovers, house, initiatives, lifestyle, piece of paradise, puravida, restaurant.